Spreading the word about Aurora Trust is one of effective way to help advance the cause we champion; as more people get to hear about it and get involved the lighter the load will become. So, please talk about it to your friends; share it with your family; get in touch with organisations you know may help us to see this through. This is a lot easier especially when your are online. Simply fill in your name and email address and that of the person you want to share Aurora's good news with. You might want to use the message suggested in the box or simply write your own. When you finish simply press the button to send it! Dear (write friend's name here), I just wanted to tell you about Aurora Trust. 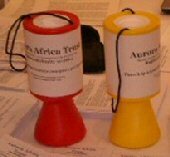 The Aurora Trust is helping in educating young people in the country of Angola by supporting a school project there. Many of these youngsters have only known war for most of their lives. Now that their country is at peace they have got a real chance to study and prepare a better future for themselves. I really believe we can make a difference by helping Aurora in this project. You can learn more about it by visiting Aurora Trust website at www.auroratrust.org Thank you. PS. if you know anyone else who might be interested in this project, please forward this email to them.